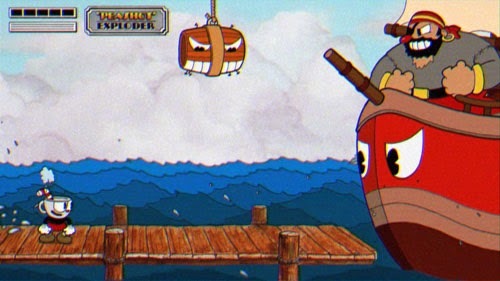 StudioMDHR delivers Cuphead, a fighting game -slash- shooter with a very unique art style. Modeled after 1930’s-era cartoons like Popeye and some of the Disney classics, the game features colorful characters, washed out backgrounds, simple piano tunes, and some rather odd humor. Our hero is a guy with a teacup for a head and a straw sticking out the top. Dear old Cuphead gambles with the devil and loses, and finds himself defeating enemies to pay the fiend back. The poor fellow can’t seem to keep himself out of trouble and is constantly struggling as a victim of his own failures. The game features projectile-based combat in enclosed arenas against a variety of cartoonily menacing foes, as well as traditional platforming and shooting action. Cuphead is now available for PC via Steam and GOG, and Xbox One via Microsoft Store.